Jason Heerah – The Music Man! If you haven’t heard of Jason Heerah by now then you have clearly be living under a rock for the past 6 months. Since his incredible and electric performances on Australia’s X Factor 2014, Heerah has become a household name as the musician to watch, long after the competition has ended. 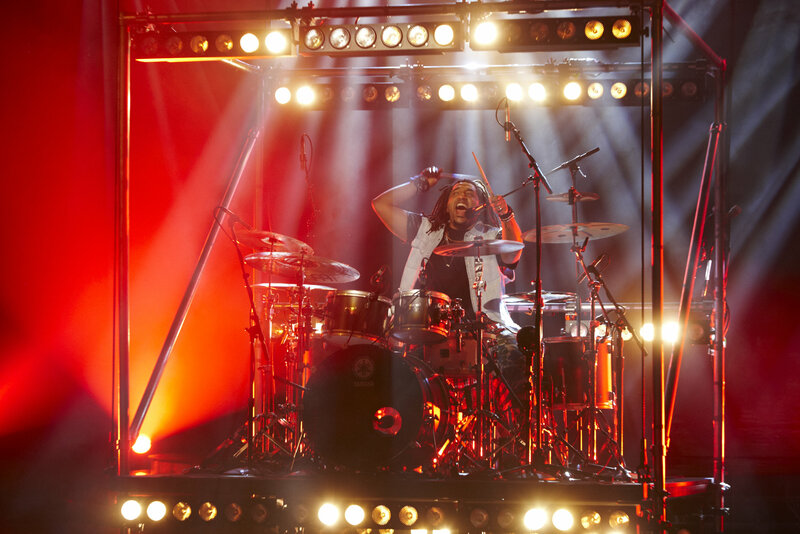 As one of the remaining Top 5 contenders for the X Factor title, Heerah wowed judges, audiences and the entire nation with his stellar live performances, which saw him more often than not, appear on stage belting out a large soul hits with his beloved drum kit. Yes the man sings and plays drums at the same time …… effortlessly! From the start of his journey on the X Factor, right through all of the nail biting voting and decisions, Heerah has been the consummate professional. Cool, calm and collected to a fault, he commands attention and utmost respect from his peers and the industry alike for watching the birth of this super talented musician, artist and producer. You see Jason Heerah had already mastered this game long before the call of the televised music contest found him. Between running his successful Heerah St Productions company, to band session work with the likes of Electric Empire, Carmen Hendricks and Diafrix to name a few, he has been lending his vocals, drumming and overall musical genius to every song and artist he collaborates with. 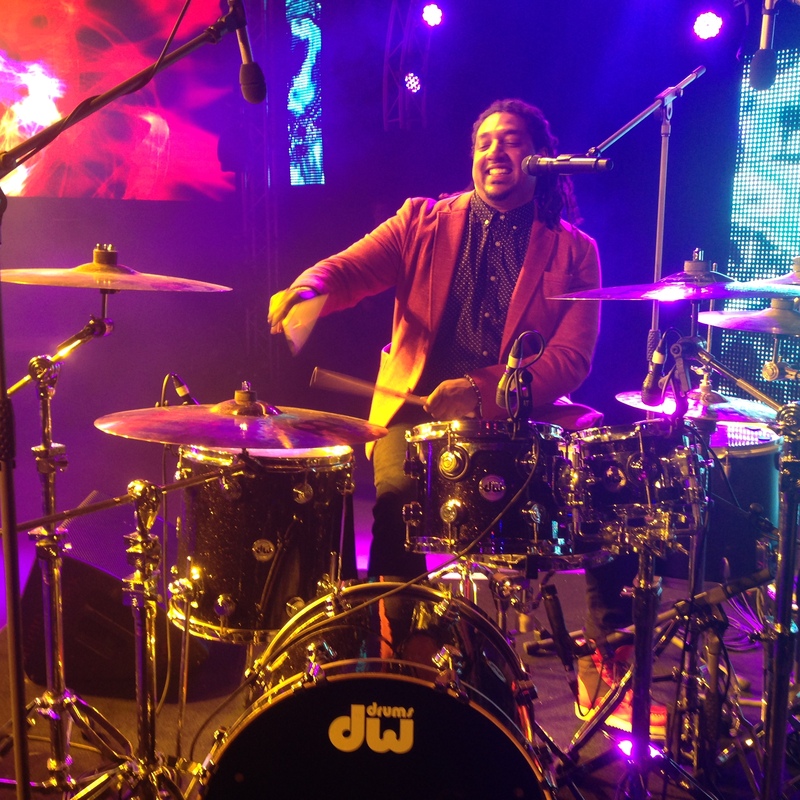 Heerah is also a tutor and runs a music clinic under his Heerah St Productions brand, which offers lessons and tutorials to students as a young as 8 who show an interest in wanting to play the drums. While we sleep, Heerah St Productions churns out the musicians of tomorrow. The 31 year old Melbourne born and bred music man is never short of praise and gratitude when it comes to his family for their support, love and gifting him with his music gene. 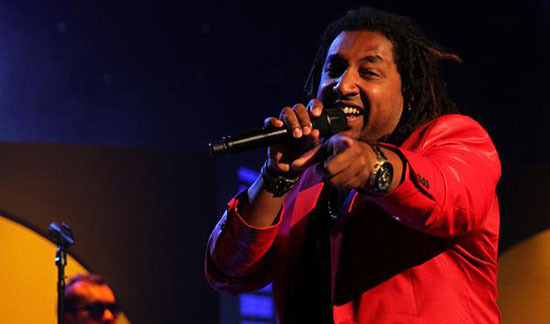 With his strong and proud Mauritian roots coursing through his veins, Heerah’ s greatest role in life is being that of a loving husband and father to his incredible family, a bond the whole nation witnessed during every live X Factor performance he presented. 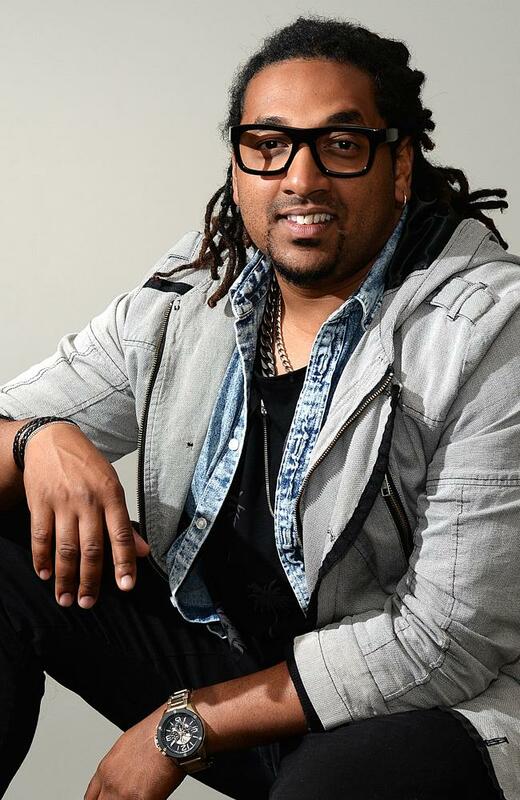 A man with vision, ambition, talent and faith, there is not much Jason Heerah cannot achieve in this game called music. The proof is in the pudding when you look back on his stellar track record for aligning with and creating alongside some of the most respected and talented names in the Soul and Rock arenas in this country. Not one to be pigeonholed, Jason Heerah is a musicians musician born to grace the stage and sound booths with his artistry, an artist that the Australian Music industry is undeniably blessed to have within their corridors of soul! Hi Jason, so great to finally have a chance to speak with you – how are you and how is life treating you? I’m blessed and feeling better than ever right now about a lot of things really. Mainly about this new change in lifestyle direction. It’s refreshing to feel like you’ve just met Music for the first time even after so long of being in a relationship with her. But yes blessed that I get to do this again and again and feel this way and have all my family on board healthy and #Blessed. It has been quite the whirlwind for you since your time on the X-Factor earlier this year – how has life changed for you now that your talent has been shared with the country? Is it becoming difficult to walk down the street unrecognised or are you still able to enjoy a certain level of anonymity? Your performances and energy were so contagious every week on the show – wow – you literally left the audience wanting more! To sing and play drums is no easy feat which only a handful of musicians in the world being able to do it successfully! How would you prepare yourself for each performance Jason and what is it about playing the drums that makes you sing so darn good lol? Prior to going on the X Factor you had already carved out a pretty solid career as session musician, producer and mentor in your own right, working with some of our soul and urban music industry’s finest. What was the deciding factor that made you want to go on the show and how, if anything has it changed your outlook on a career in music? Yes prior to going on the X Factor I was doing well as a session musician and even having a solid original project I was proud to be a part of for the past 5 years that I thank God every day for that. Going into 2014 I was assessing myself as a business as businesses do year after year and I found myself at a crossroads musically and as an artist. I just thought do I just keep Plateauing along doing the odd session call here and there, and mountains worth of regular local gigs that take up a lot of your time and energy? Or do I shift the gear up a notch and really go for it as a Solo Artist. It’s been a dream of mine to release a Solo album possibly off the back of some singles that really stamp me out there as a solo artist. So looking at the world of social media and where and how music along with everything else is sold these days in that world called the internet, I thought I really need a great marketing platform here if I was to pursue this for real. I didn’t have the $$ there just lying around ready to spend on YouTube adds, social media campaigns etc. So I chose the machine that is X Factor. Turns out I chose a really tough year to enter in. But I was up for the challenge and was really happy with how it all turned out. Who would you say are your biggest personal and musical influences and what is the music you want to create and share with the world? Two of my biggest influences are musical legends and geniuses Bob Marley & Stevie Wonder. I love delving deep into the lyrics of Marley and the Soul that oozes out of Stevie. Stemming off those two I have many musical love’s and tastes in music. Too many to mention, and I guess I found my own sound after exploring the likes of Al Green, Donny Hathaway, John Legend,D’angelo,Maxwell & Reggae legends Bunny Rug’s from Third World, Dennis Brown & Marley at my own gig’s. In short I would love to capture the soul of me that crosses over to a world where the sounds and the music is relevant in today’s market 2015 and beyond. Would love to work with some Great Producers that are making songs/albums that are in the chart’s today i.e. Dave Tozer, Mark Ronson, labyrinth and yes I’m going to say it Pharrell Williams (hee-hee) #dreambig #master also there are many that are on the uprising as gun producers I would love to collab with in the studio. Can’t wait to get that first single out there to you guys. What do you think the greatest lesson you have learnt during your time on the show and how will that lesson impact on the artist you are shaping yourself to be? Can you tell us what you have been currently working on lately, any recording of music, live performances etc.? Currently I’m working on staying out there, performing live shows as Jason Heerah either in a solo, duo or band situation. But more Importantly getting in a zone in the studio laying my vocals on what I hear could be my next singles so I can release something really soon. It’s important to strike while the irons hot after these shows but also be mindful of what sound is going to best represent you. As Erykah Badu said on a FB post I saw recently “One can protest or re-create and original piece. IT’S ART. It’s free. And once its put into the world, it no longer belongs to the artist” this really hit home with me and where I stand now. The music industry is not for the feint hearted and can be quite intense if your heart and mind are not aligned – how do you plan to stay constant and true to yourself and your career as you begin your journey in this game? If you could choose a song that would best describe who Jason Heerah is what song would that be? ← Mimi Faust talks Love and Hip Hop Atlanta, surviving Stevie J and putting herself first!